2003: I AM GOING TO BE THE BEST MOM EVER. 2017: MY KIDS WILL - ProudMummy.com the Web's Community for Mums. 2003: I AM GOING TO BE THE BEST MOM EVER. 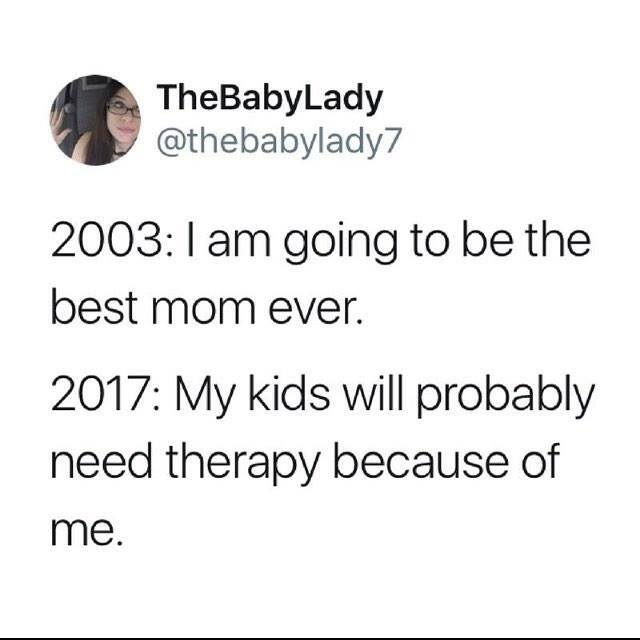 2017: MY KIDS WILL PROBABLY NEED THERAPY BECAUSE OF ME.